HORSE PROPERTY Rolling Hills 10 Acres. Easy to I75 Wesley Chapel/Tampa. Home is nestled in private setting. 2476 sq ft split plan. 4 bdr 2 bth w/office. Cathedral ceilings with pine & cedar for that cozy cabin feel. Large 500 sq ft screen porch. 4 STALL CENTER ISLE BARN Each 12x12 stall is plumbed w/water, fitted w/rubber mats over concrete w/individual outside runs. No need for bedding, no dust, less expensive, easy upkeep. Hay storage, inside wash rack w/drain & tack room with A/C. 30amp hookup is near barn for camper/live in qtrs. horse trailer. Entire property is fenced & has interior fencing for rotational grazing. STEEL BUILDING 1200 sq ft w/concrete floor,a 30x25 rear overhang. 8x8 & 10x8 o'head doors, 2 man doors. Has 200 amp electrical service and another 30amp hookup for RV. 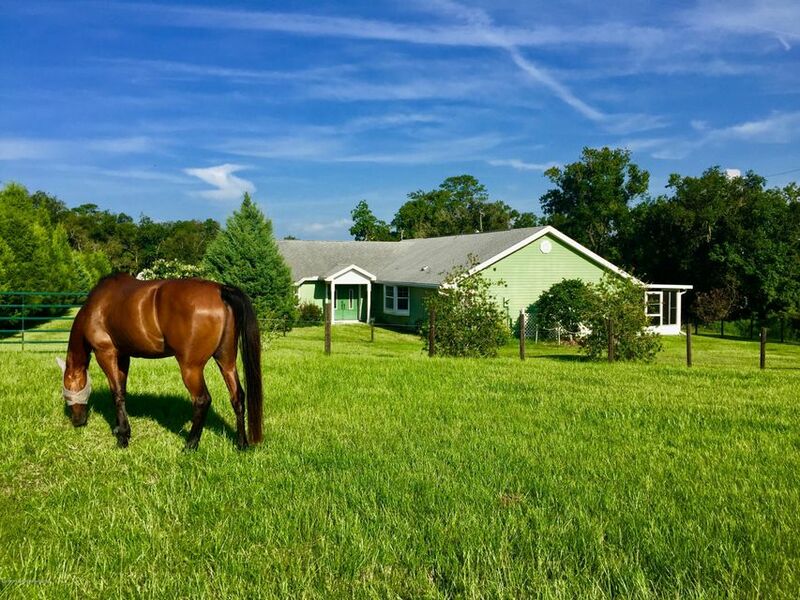 I am interested in 25755 Tilly Hawk Lane, Brooksville, FL 34602.